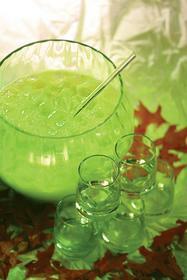 NEW YORK, NY--(Marketwire - October 24, 2007) - MIDORI, a brand known for its flavorful melon taste, has created ghoulish-green cocktails just in time for Halloween. 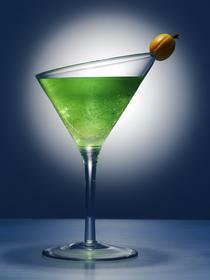 From the Monster Martini to the Spider's Kiss, the recipes are diverse in flavor and aim to please even the most discerning palates. 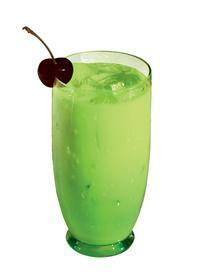 MIDORI is often referred to as the hostess' secret weapon because of its versatility. It mixes well with most common juices like orange and pineapple. Fun garnishes like lemons and blood oranges can be added to enhance the taste of the drink. 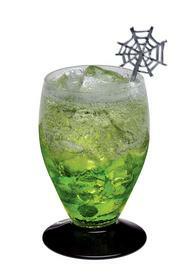 Themed swizzle sticks will create a spooky Halloween atmosphere. Mix all ingredients into a punch bowl or cauldron. Stir and serve with a spoon or ladle. Serves 15-20. Give guests a jolt with the Spider's Kiss. This elixir glows under the black light from the quinine in the tonic water, giving guests a flavorful shock. Pour the first two ingredients in a tall glass, preferably frosted, over ice. Top off with tonic water. Pour ingredients in order listed into a pitcher filled 1/2 way with cubed ice. Shake/stir for 5 seconds. Strain from pitcher into punch bowl. 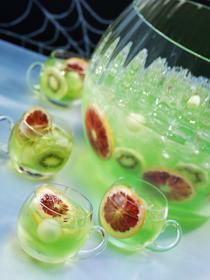 Garnish with Mellon Balls, Red Oranges and Kiwi.